An electric Rolls-Royce car remains a possibility, the company's boss has suggested. But it would be "wrong for the brand and wrong for our customers" to make a decision without exploring all options, added Rolls-Royce Motor Cars chief executive Torsten Muller-Otvos. 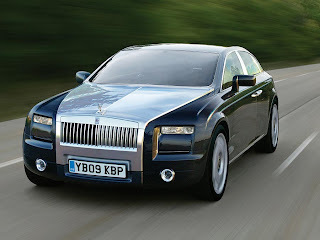 There has been talk over the past two years of a possible electric Rolls and at one point it seemed possible that such a vehicle could be produced by the end of 2010. Speaking to the BBC, Mr Muller-Otvos said all options for alternatively-fuelled vehicles were being considered and that nothing had been ruled out. He went on: "We are not going to make any rash decisions. It would be wrong for the brand and wrong for our customers if we were to take a decision without fully exploring all options." He was speaking as Rolls-Royce announced record annual car sales in 2010 - up 171% on 2009 and more than double the previous record set in 2008. All regions demonstrated significant sales growth, with particularly strong results seen in Asia Pacific, the USA and the Middle East. The USA remained the biggest single market for Rolls-Royce in 2010, followed by China and the UK.